From America's Next Top Model and Marie Claire to work with celebrities Laura Vandervoort and Melissa Rauch, makeup artist Jamie Dorman keeps herself very, very (very) busy. Read on to find out her tip on getting rid of dry lips, which blush she can't live without and so much more. I'm originally from Boston. I moved to Los Angeles for college when I was 18 to study guitar performance at Musician's Institute. I played a lot of Bossa Nova as well as blues and rock in a few bands. I have a strong art background -- I have painted since I was a teenager and I still paint regularly now. I often post photos of my paintings on my Instagram. How did you first become interested in makeup, and what led you to become a makeup artist? I have loved makeup since I was around 6 years old, but I never thought of it as a career. There were little tells throughout my life that I hadn't noticed until recently, like how in 4th grade when a mime came to perform for my class and we got to ask questions the only question I asked was, “Who does your makeup?” I would often read makeup books and experiment on myself and friends, but it didn't all come together until I was in Los Angeles. Around the time I was in my last semester of college, my neighbor who was a model and worked for a clothing line downtown invited me to a shoot/event where he thought I would have fun assisting the makeup artist. I put together a kit in a day and when I got to the shoot the makeup artist didn't show up! I did the makeup for the shoot and no one had any idea that I had ever done it before. After that I just knew that this was what I was meant to do. I quit music and started working on shoots and in a Special FX lab. Elizabeth Arden Ceramide Cream Blush in Nectar. 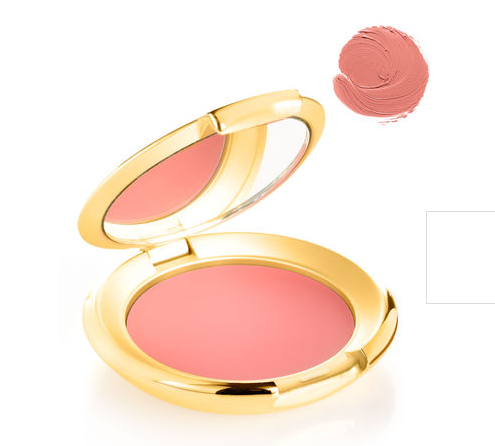 Cream blush is my favorite to perk up the skin because it adds color without changing the texture of the skin. This shade gives a beautiful peachy glow to cheeks. I always keep one in my purse to make me look healthy and well-rested on those long shoot days. Leonor Greyl Huile Secret de Beaute. 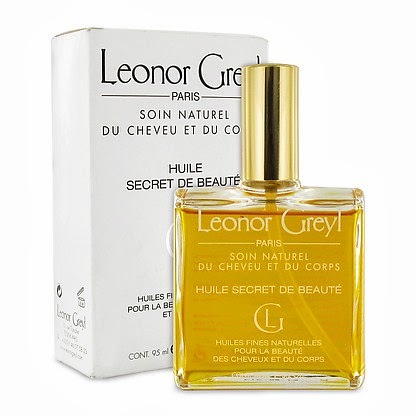 This fast absorbing oil creates a beautiful sheen on skin that I use often on shoots. Since it absorbs so quickly it doesn't ruin the clothes, which stylists really appreciate! It is also a great hair treatment and smells amazing! Senna Cosmetics Face Sculpting Kit. Senna is one of my favorite makeup lines. They have products that are great for professionals, but are also easy to use for the consumer. I use this kit to sculpt my clients' faces to perfection. It's great for carving out cheekbones and sharpening jawlines. The formula blends on easily in cream form and then sets as a powder so it lasts. Louise Young Cosmetics Makeup Brushes. Louise Young makes my favorite brushes on the market. Her LY38 brushes are amazing at creating beautiful socket lines. They make my job so much easier. 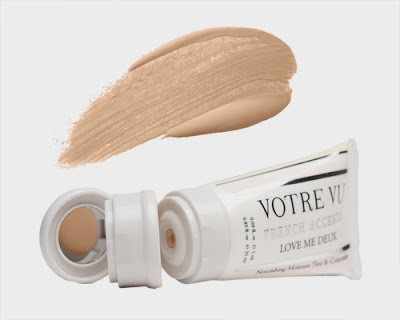 Votre Vu Love Me Deux Moisture Tint & Concealer. 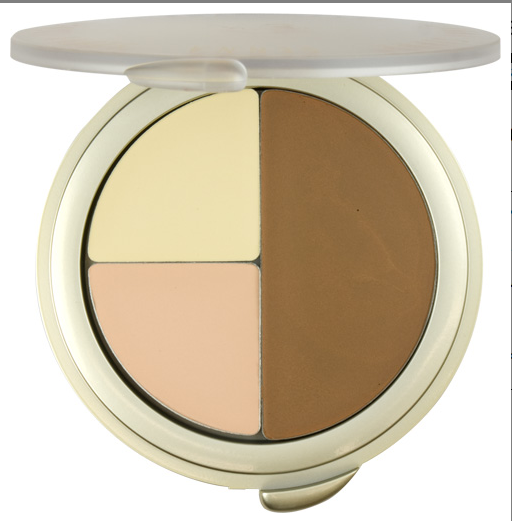 This is a beautiful tinted moisturizer with a coordinating concealer in the cap. It takes the guesswork out of picking a concealer color, and is super easy to touch up on set or on yourself -- just one product to grab and go! 1) To get rid of dry skin on lips, put a little bit of rose salve on a disposable mascara wand and use it to scrub your lips. You get all the dead skin without the residue and granules from a lip scrub product. 2) Use an Alpha Hydroxy Acid product to lightly exfoliate before putting on your moisturizer. It smooths skin without lifting dead skin that can look obvious when you apply makeup over it. 3) To refresh a dried up cream eyeshadow or eyeliner, put a few drops of a silicone/water mix makeup remover in and stir. I like Neutrogena Oil-Free Eye Makeup Remover. There are so many things I love about being a makeup artist. I love creating art on a face, I love making people feel great about themselves and I love connecting with everyone who is in my makeup chair. I think the best part is being a part of creating a beautiful image. It takes a strong team of people to make beautiful images. So much work goes into a shoot. When everything comes together the image I get back is a work of art. When I'm not working I do outreach in my community. I am part of an outreach group called Human Too that feeds and cares for the homeless in Hollywood every Friday night. We make and give bags of food and talk to the homeless on Hollywood Boulevard. I love connecting with all the people we meet and caring for them no matter where they are at in their life.